Imogen's Typewriter. 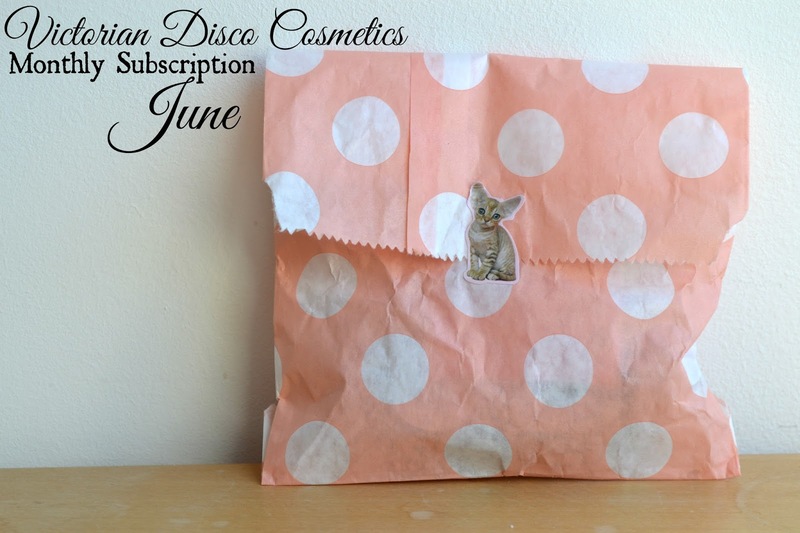 : Victorian Disco Cosmetics: Monthly Subscription: June! 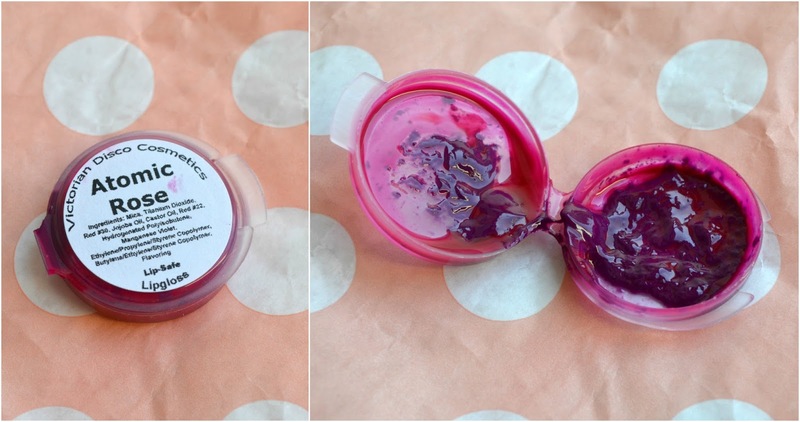 Victorian Disco Cosmetics: Monthly Subscription: June! 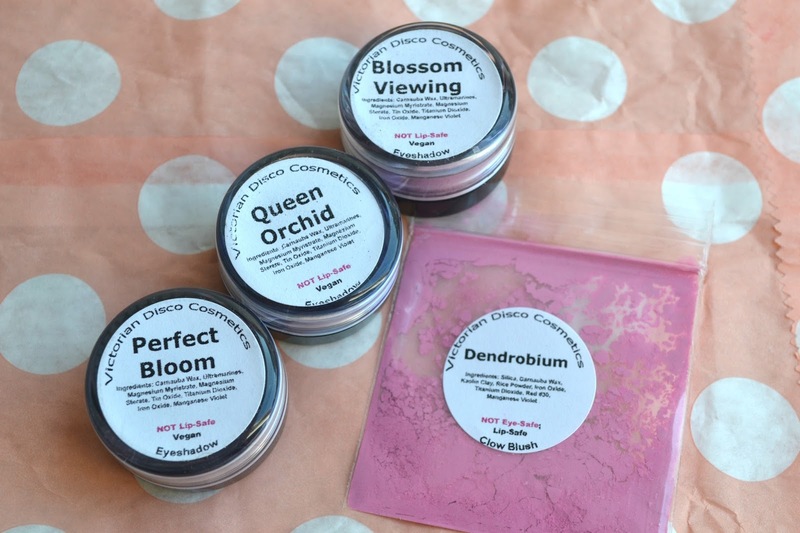 My June monthly subscription from the amazing Victorian Disco Cosmetics, a brand I've talked about before, came a couple weeks ago and I'm finally getting around to posting about it. Bad Imogen. Better late than never? Can we first just appreciate how dang cute the packaging is? Now this months came with three full size eyeshadows, a blush sample (which has a huge amount in) and a lipgloss sample. Unfortunately somewhere between VDC and me, the lipgloss separated and the clamshell was a hot mess to open but hey. 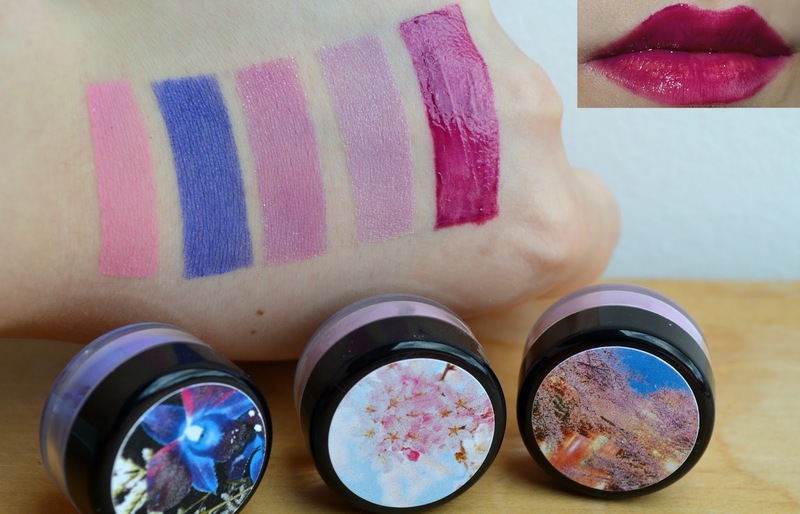 Dendrobium blush, Queen Orchid eyeshadow, Blossom Viewing eyeshadow, Perfect Bloom eyeshadow, Atomic Rose lipgloss. First the blush. Quite simply, it is amazing. It's a slightly warmer tone that my go-to blush, Katie by Illamasqua, which makes it nice for a bit of warmth as we get ready to bid farewell to summer. It's a great matte finish so it's super natural and it blends easily. Love it. The eyeshadows are what I was most excited about because eyeshadows are what Victorian Disco Cosmetics do really well and these three are no different. Queen Orchid is a blue with a slight pink duocrome, Blossom Viewing is a dusky pink with silver shimmers and Perfect bloom (my favourite) is an almost lilac with a gorgeous subtle green duocrome. This is what dreams are made of. They all apply, blend and stay well with a good base and although I don't usually go for a pink eyeshadow look, I've been loving it with gold since these came. Lastly, Atomic Rose lipgloss. This was a bit of a miss for me. Maybe it was because of the separation but even after mixing it back up, it was still difficult to apply and went on patchy. I'm going to persevere with it though because the colour is perfect for my first timid steps into dark lips and leaves a lovely stain even after the glossiness is gone. Unfortunately what with Victorian Disco moving to Florida they've had to pause their monthly subscriptions so everyone cross your fingers they're back soon and you can buy their products here! I really recommend them.